Keychains are such a practical item and are probably one of the most popular gift ideas! 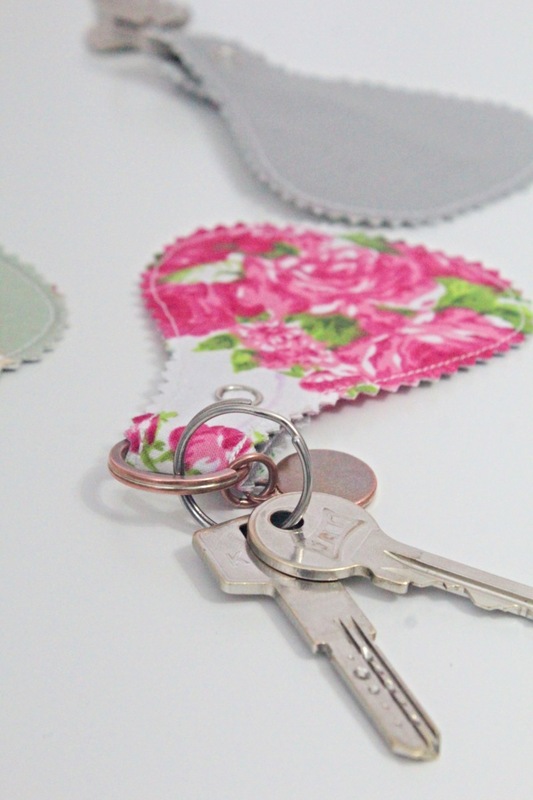 But did you know it’s so incredibly easy to make your own fabric keychains? 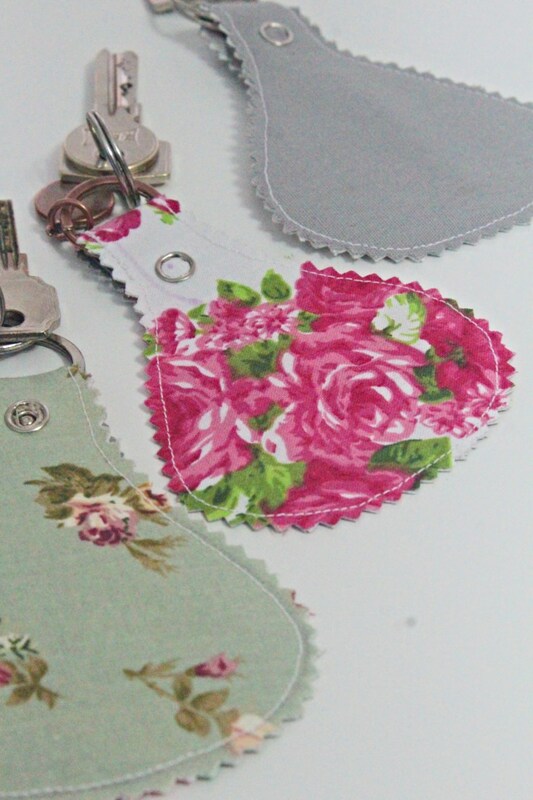 Such a simple and quick way to add some style to your keys! 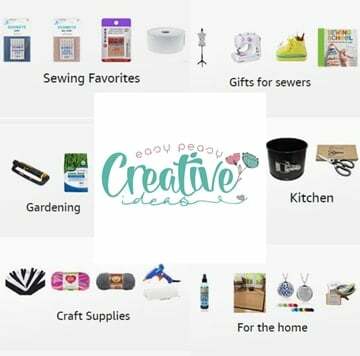 Or whip up a bunch of these DIY keychains and give them as gifts for your friends and family or even as a teachers gift! These cuties will always come in handy, especially if you are in the habit of losing your keychains as some of the members of this family. You will literally get one of these fabric keychains in less than five minutes! 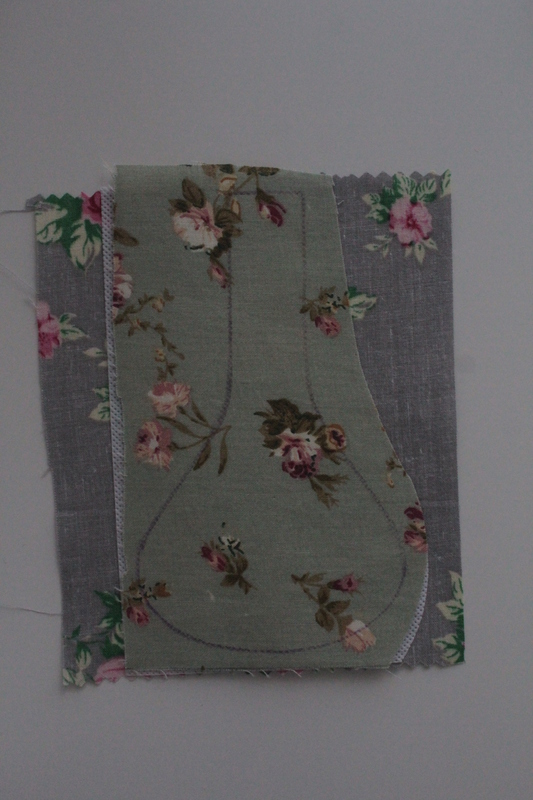 All you need is some fabric scraps, interfacing, pinking shears and a sewing machine. 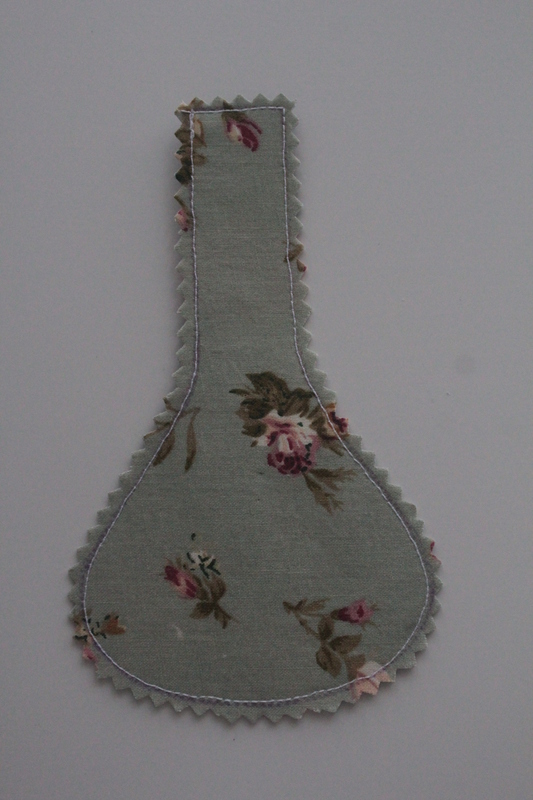 I’ve decided to sew these as I absolutely love sewing and I’m not one to waste an opportunity to use my sewing machine. 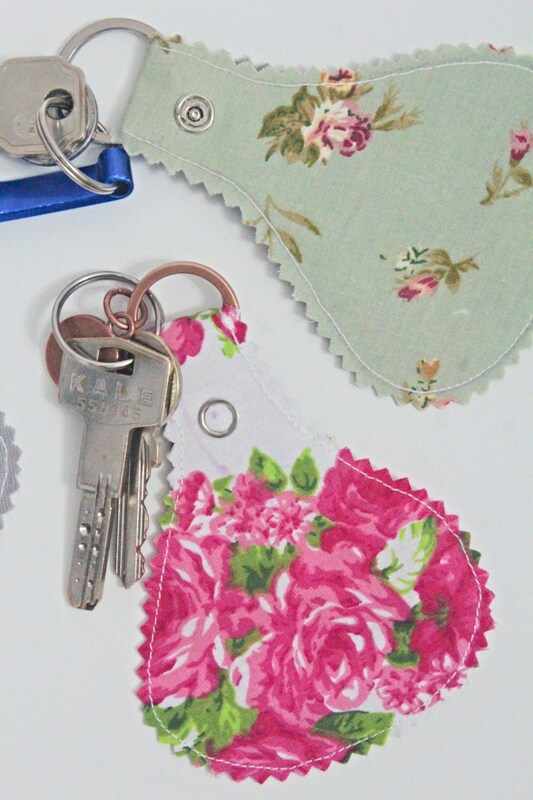 But these adorable homemade keychains can easily be done with no sewing involved as long as you use double sided interfacing to stick the the two fabric pieces together. Although it wasn’t absolutely necessary I wanted to take advantage of my newly purchased snap pliers and added snaps to my keychains. 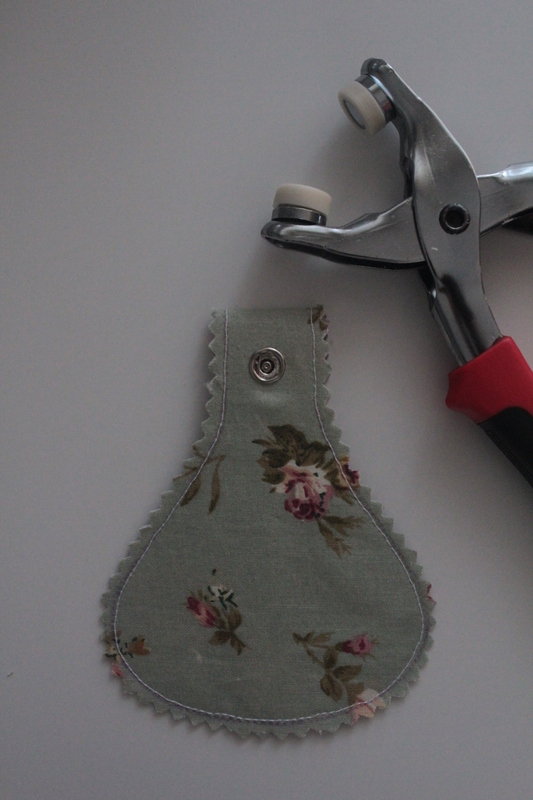 I think my fabric keychains look a lot more professional with this simple addition and are also easier to use; removing the keys and adding them back is now just…a snap! I made a template for these keychains and you can either purchase them here or get them for free when you join my sewing newsletter. 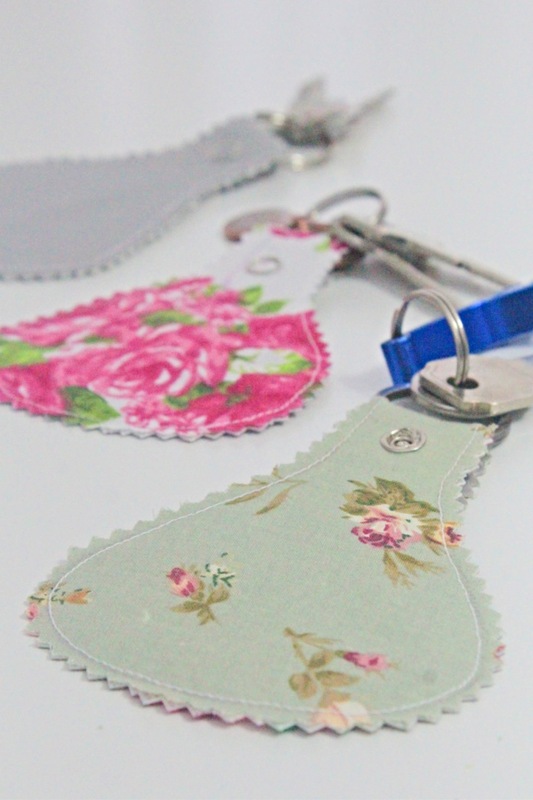 Download your key chain template and cut your fabric pieces according to this template. You will need two pieces of fabric for each key chain. Interface one of the fabrics, on the back. Match the two pieces wrong sides together and pin. Place the keychain template on and draw around it using a fabric pen. 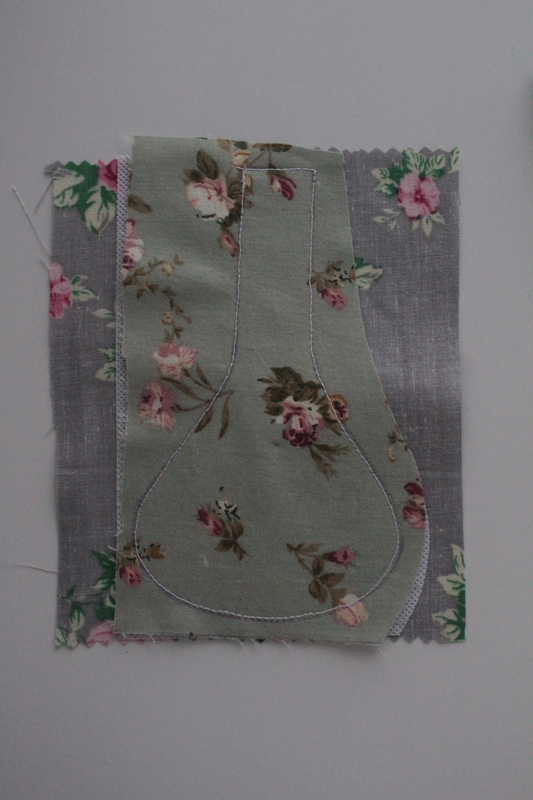 Sew right on the traced template, using a small stitch and sewing slow over the curves. Cut out with your piking shears, about 1/8″ outside the seam. Attach the snaps to the straight end of the keychain, following this tutorial. 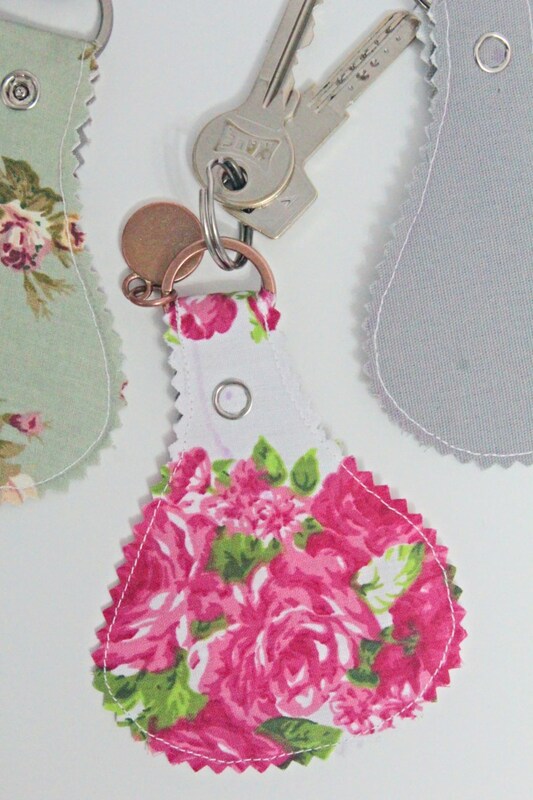 Insert the keyring and close the snap and you’re ready to wear your fabric keychains! I hope you liked this tutorial and found it useful! And if you did, I’d love to know it so please let me know in the comments below! And don’t forget to rate it! Thanks!